Are you looking for a lovely accessory for the autumn and winter seasons? 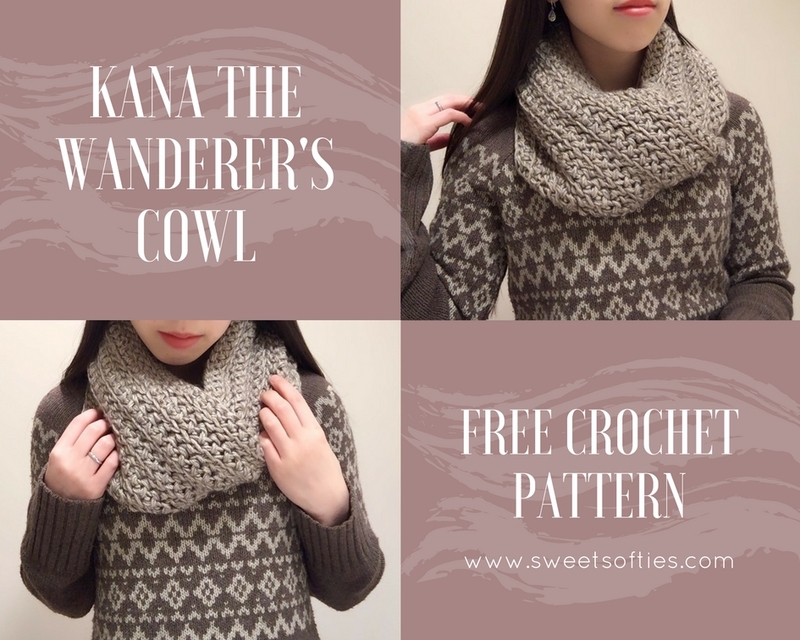 If so, try out Kana the Wanderer's Cowl! This original design of mine is perfect for exploring and enjoying the changing seasons outdoors! Without further ado, I present to you: Kana the Wanderer's Cowl! 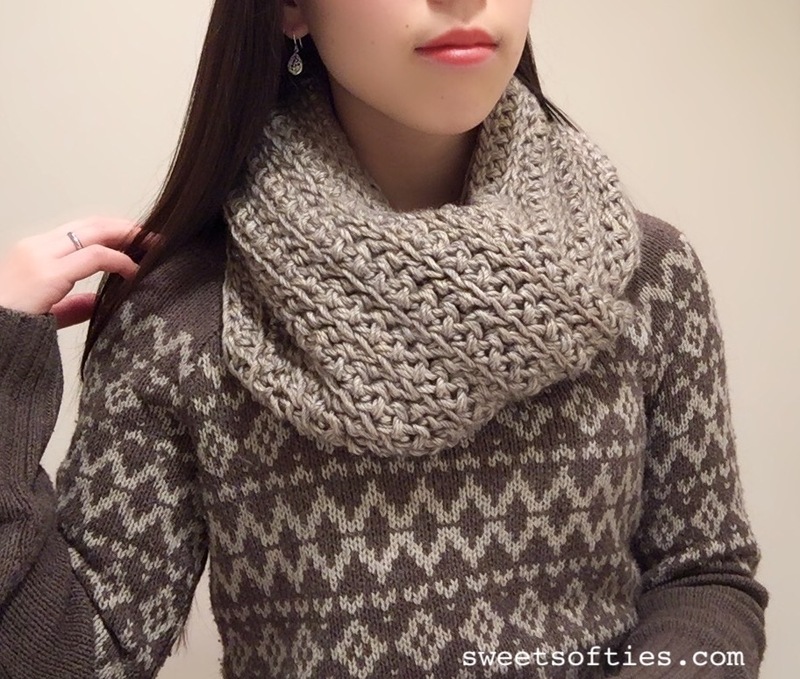 Kana the Wanderer’s Cowl is a lovely accessory for the autumn and winter seasons. It is soft and has a wonderful drape. It is crocheted in the round, holding two strands of medium-weight yarn together. Using a large hook of 9.00mm, the cowl isn’t too heavy nor light, and it isn’t too tight nor loose. Kana the Wanderer’s Cowl is perfect for exploring and enjoying the changing seasons outdoors. Following the pattern is approximately 10" x 30"
Note: I used two skeins of Lionbrand Heartland Yarn, (251yd/skein). The scarf above is in 'Grand Canyon' and the scarf below is in 'Yellowstone'. 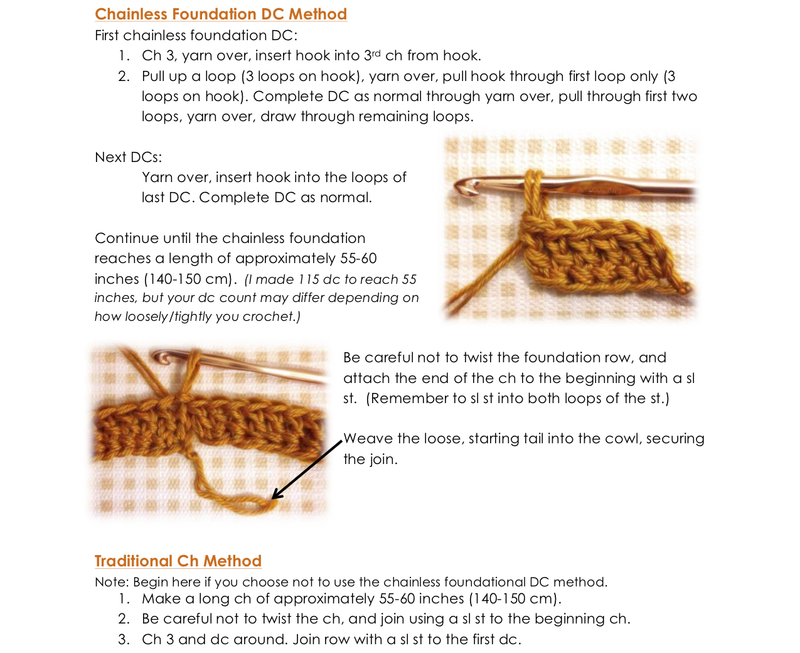 Note: If you have not made the chainless foundation DC before, you can check out my step-by-step video tutorial below! How do you join the round with blo/flo? Do I sl st the first dc with blo/flo only? Hi Amy! 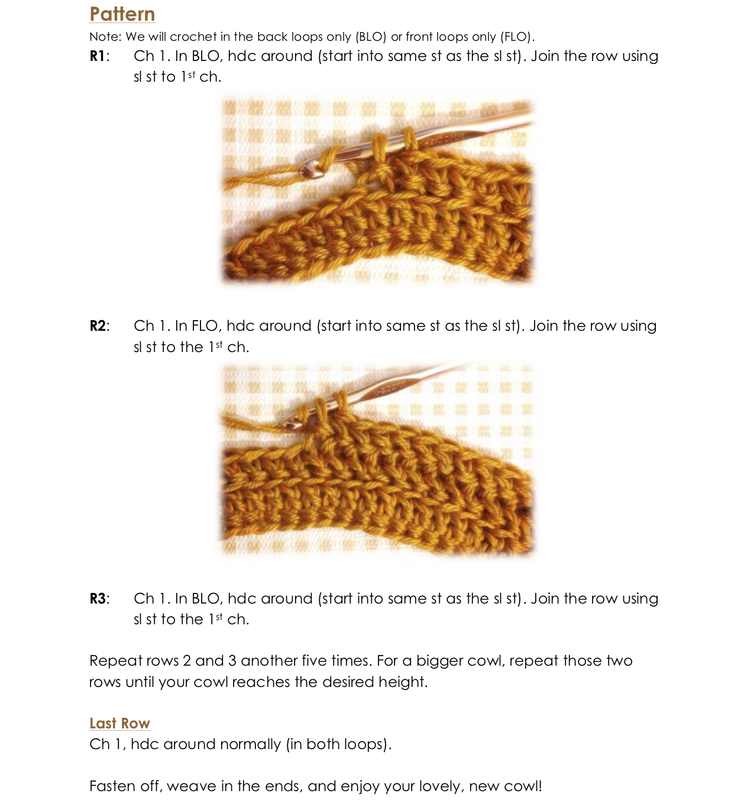 You can either join the round with blo/flo (following how the other stitches in the row are done) by doing a sl st into the first dc's back or front loop, OR you may do a regular join through both loops. I would recommend sticking with one or the other, though, because it would look best if your piece is consistent. I hope this helps! You're most welcome! Happy crocheting!